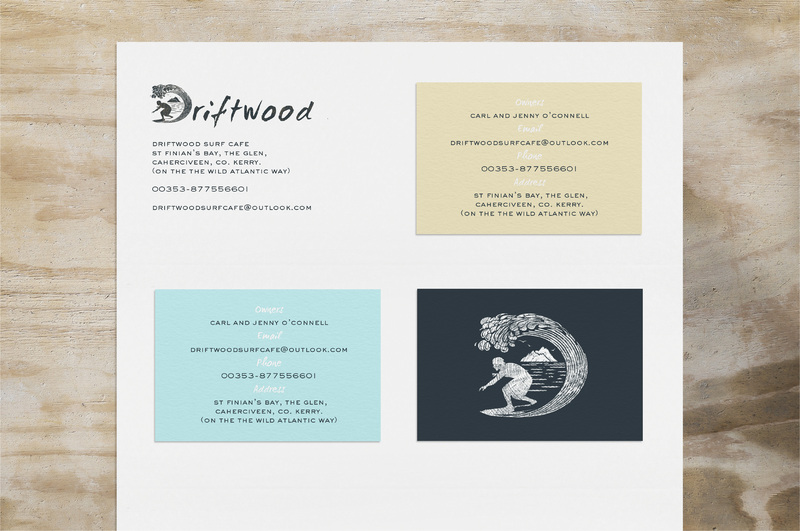 John Randall designed these business cards for Driftwood Surf Café, a family run artisan farm shop with beach facilities owned by Carl & Jenny O Connell. 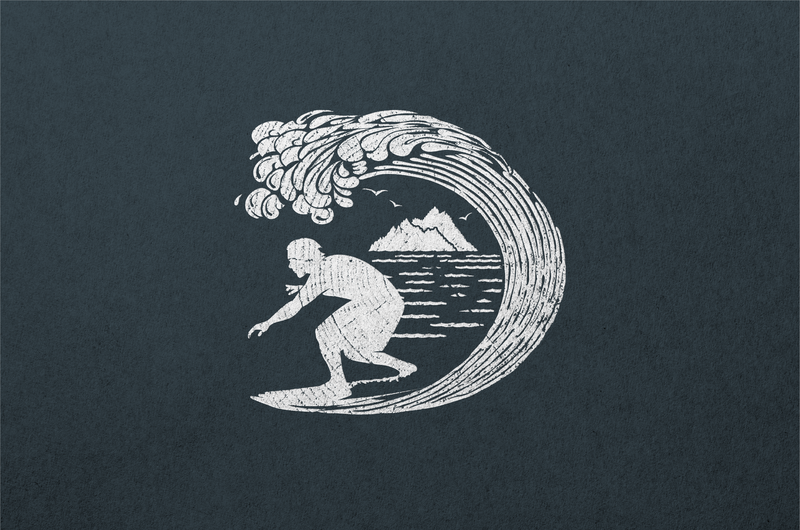 Driftwood Surf Cafe was born out of an idea to create a community hub which will provide essential beach facilities, a small farm shop and a sharing of fresh, honest and delicious food – sourced straight from the family farm and surrounding bay. The surf cafe is located on the Wild Atlantic Way and boasts a stunning view of an UNESCO World Heritage site, the Skellig Islands. “The logomark conveys the view from the cafe and is composed to suggest the letter ‘D’. The woodcut finish takes inspiration from the driftwood found upon the bay, and the colour palette is suggestive of the ocean and its surrounding terrain,” John said. 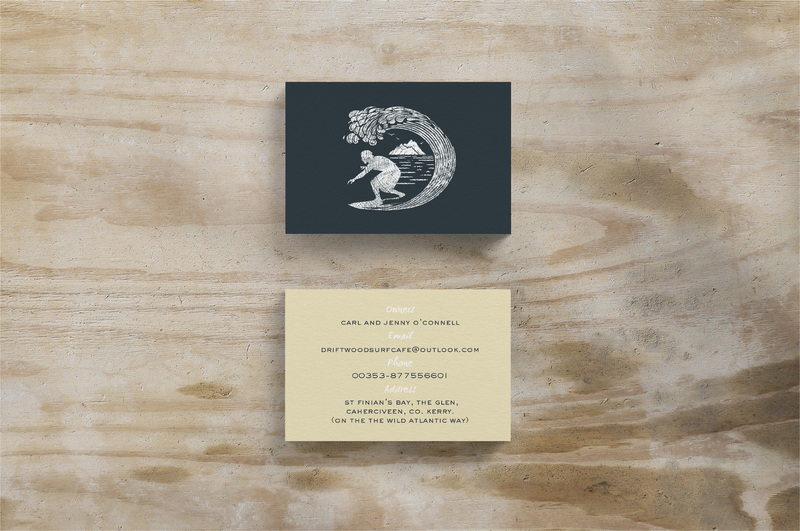 It’s clever to use a different typeface for ‘owners, email, phone and address’ on the card – not only it improved the readability of the details but also gave an artistic impact to the overall design. 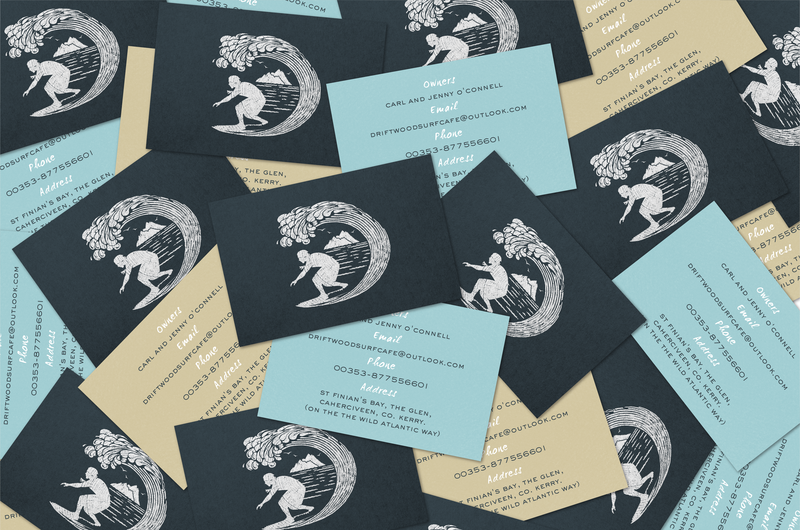 The business card specification consists of a two 200gsm substrates duplexed and lightly letterpressed. The paper chosen is intentionally uncoated to evoke raw and rustic connotations – replicating the feel of the area in the palm of your hand.